Nonsurgical lip enhancement and antiwrinkle injections, live demonstrations in St John’s Wood. 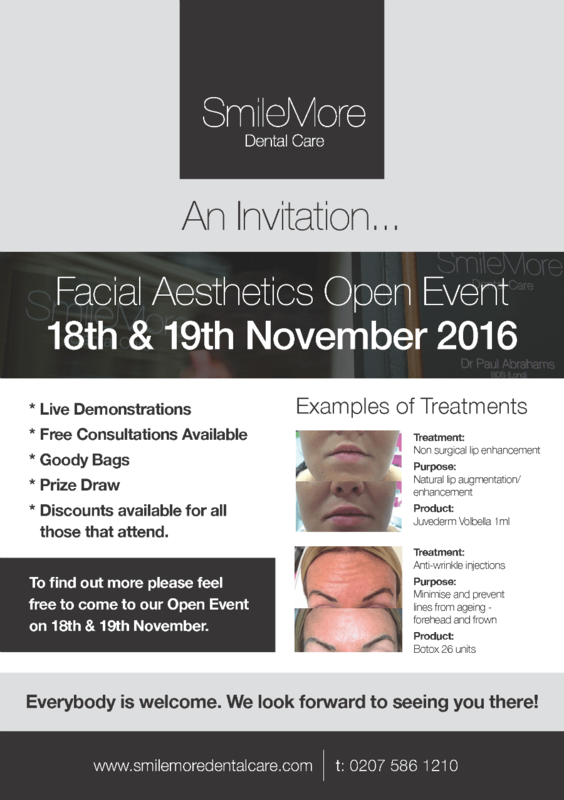 Join us for Our Facial Aesthetics Open Event 18th and 19th of November 2016. Everyone is welcome. We look forward to seeing you there!